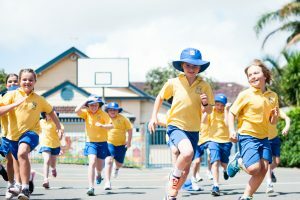 The PDHPE Key Learning Area is concerned with developing an active, healthy lifestyle; developing skills in inter-personal relationships positive values, attitudes and beliefs; participating in regular physical activity, such as Sport and Dance. “Moving Bodies” delivers the P.E. syllabus on a weekly basis. Classroom teachers then integrate this program into their weekly program. Each year we employ specialist teachers in Dance and Swimming (Term 4). 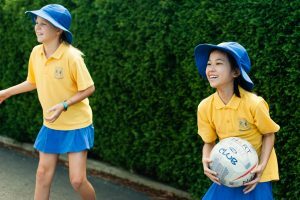 We regularly engage the expertise of sporting groups such as Cricket Australia, Netball Association, Australian Rugby, National Basketball League to name a few a few.